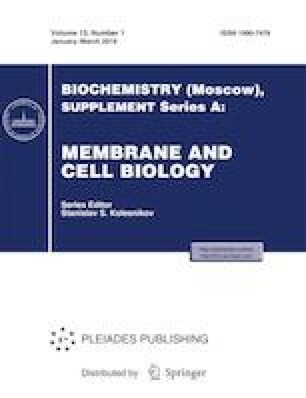 In this work we studied the influence of phospholipase A2 vurtoxin and its homologue lacking enzymatic activity (Vur-S49), isolated from the venom of steppe viper Vipera ursinii renardi, on the amplitude and temporal parameters of spontaneous and evoked endplate currents (EPCs) in the neuromuscular junction of frog Rana ridibunda. The experiments showed that both vurtoxin and Vur-S49 reduce the EPC quantal content. The amplitude and time course of spontaneous (one-quantal) signals remained unchanged, suggesting that these proteins do not block nicotinic acetylcholine receptors (nAChRs) on the postsynaptic membrane. Depressing effect in the presence of enzymatically inactive Vur-S49 suggested that the decrease in the EPC quantal content in the presence of these proteins cannot be explained exclusively by phospholipolytic activity manifested by vurtoxin. On the basis of our previous data we suggested an interaction of the proteins studied with presynaptic α7 nAChRs. Selective antagonist of α7 nicotinic receptors methyllycaconitine (MLA) reduced the EPC quantal content as well. Depressing action of MLA on the evoked secretion of acetylcholine implies the involvement of the presynaptic α7 nAChRs in the regulation of the evoked quantal secretion in the frog neuromuscular junction. However, in the presence of MLA the effects of vurtoxin and Vur-S49 on the EPC quantal content in the nerve-muscle preparation remained unchanged. The data obtained suggest that presynaptic effects of the proteins studied are not directed at α7 nAChRs but could be mediated by interaction with some other synaptic targets. The work was supported by the Russian Foundation for Basic Research (project nos. 15-04-01843 and 17-04-00690) and by the subsidy in the frames of the Government Support for the Kazan (Privolzhskii) Federal university aimed at enhancing its competitiveness among world leading scientific and educational centers.